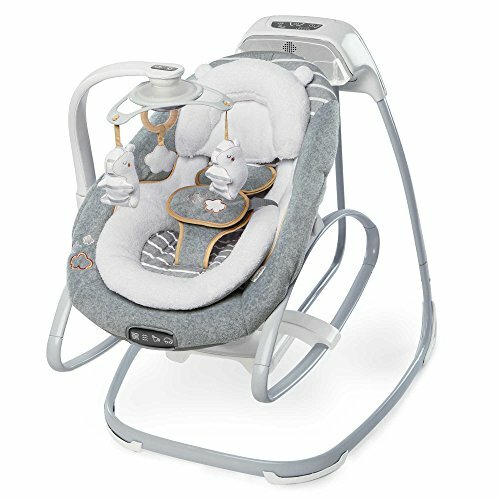 The Boutique Collection Swing and Rocker from Ingenuity will help keep your baby relaxed and entertained. Packed with fun features like ConnectMe smartphone connectivity to customize pictures, music and video, plus soothing vibrations and nature sounds. Supports children up to 20 lb.